It's hard to do lunch in such a topsy-turvy world! But lunch can be the best part of the day if you do it right. Just get together with a friend and pick up a delicious dog. Top it off with whatever you want. Pile on those onions, sauerkraut, and mustard and head out into a beautiful afternoon full of possibilities. You might only have forty-five minutes for a lunch break but when you've got a delicious dog in hand, there's no need to use all your precious time on boring sitting and masticating. You and your frankfurter can go check out that guy playing pan flute by the town fountain. You could even dance along while chomping your midday meal. Go ahead and embrace life cause that's what hot dogs do for you! Our in-house designers have decided that we needed a stand-out, drop down hot dog costume. Why? Well. . . because hot dogs are already awesome for lunch but they're so much more fun as a costume! 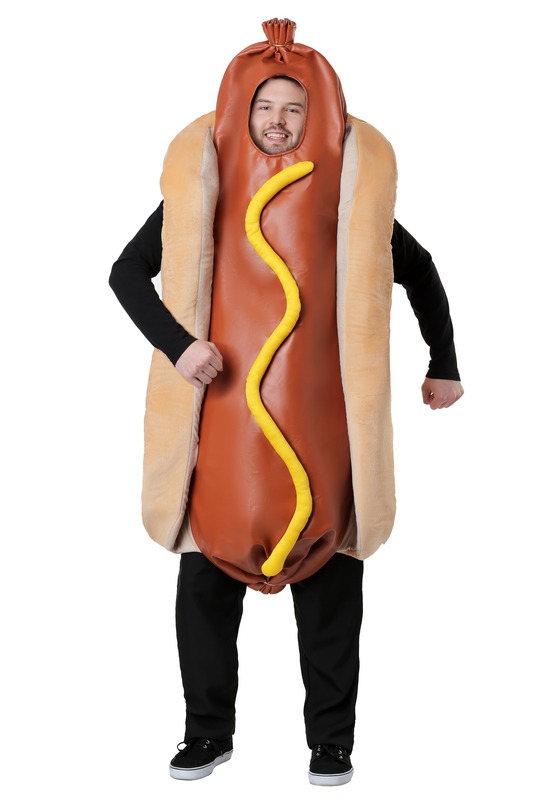 Much like the original hot dog, this hot dog costume is super easy and is welcome almost anywhere you go! Simply slip it on, put your face through the sausage casing and you'll be ready to spread some smiles. With Made-By-Us quality, you can wear this award "wiener" again and again! Becoming the star of the show is easy when you're dressed as this ridiculous hot dog! You can bet your newly baked buns that people around you will be both hungry and amused as soon as you arrive on the scene. Pair up with your ketchup and mustard pals for a group costume made in Diner heaven. 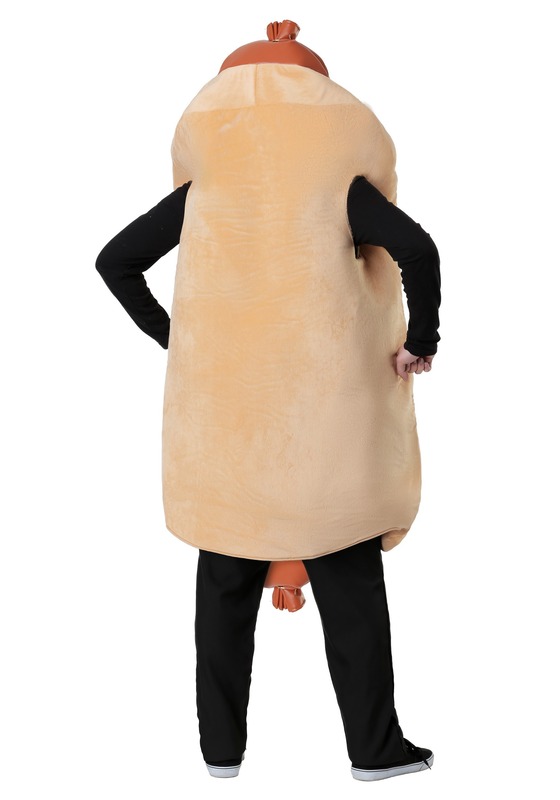 And here's the thing, when you're dressed up as a hot dog, you can get away with a whole lot. Because as we've mentioned, hot dogs will always be a favorite!